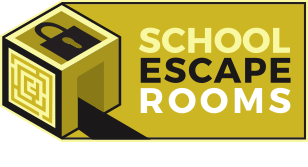 School Escape Rooms immersive learning games have been carefully designed so that they are not just fun school workshops, but so that students benefit from a great learning experience. Our Classroom Escapes gives students of all ages and abilities an opportunity to be taught and also reinforce academic content that is specific to the National curriculum. We have written our Classroom Escapes so that they follow the National curriculum Subjects of History, PSHE, Science and Maths. We are adding to our range of Classroom Escapes the whole time and should you be looking for a specific theme as long as we have enough time we can write them specifically for your school.